JFAK Participates in ULI “Shelter Challenge"
On May 9th, John Friedman and Lolade Frankel were invited to participate in a “Shelter Challenge” for the Urban Land Institute in collaboration with the City of Los Angeles Mayor's office. The challenge combined various Los Angeles design teams with the main purpose of collectively brainstorming solutions for homeless shelters. During the meeting, architects worked in groups to outline various designs of impermanent structures that could help to alleviate the issue of a lack of temporary homeless shelters in Los Angeles. JFAK worked alongside esteemed colleagues from firms such as EPT DESIGN, SWA Architects, Studio One Eleven, DLR Group, and RELM. John and Lolade experimented with the idea of a tent, recontextualizing it as a group living area and shared space rather than a single person dwelling. After the event, JFAK followed through by creating an illustrative site plan in collaboration with landscape architecture studio RELM as well as renderings that were presented to the Mayor’s office. About the Urban Land Institute: The Urban Land Institute is a nationwide non-profit that aims to tackle urban design challenges. They have studied homelessness and land use in Los Angeles for years, and their team has suggested design solutions for addressing land use issues at the heart of the current homelessness problem. 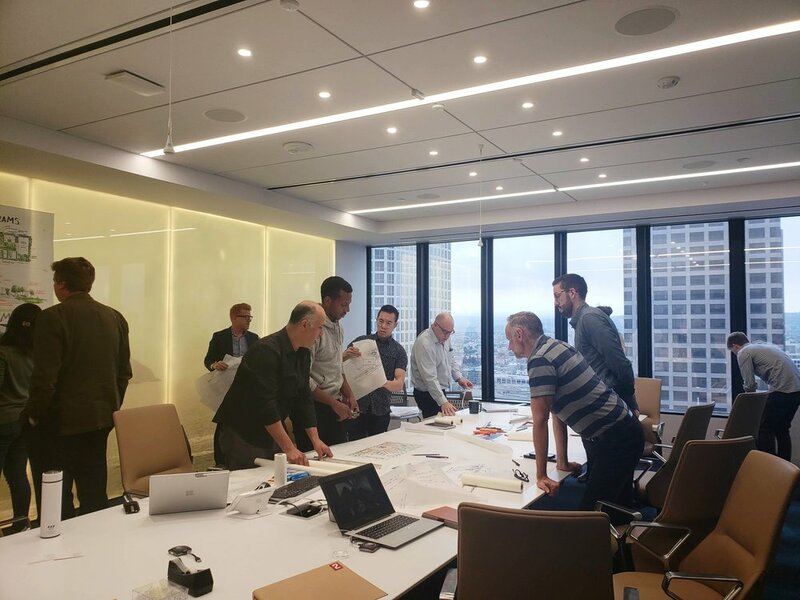 After drafting ideas and proposals, ULI often presents their findings to city planning and design offices: in this way, they are able to affect concrete change and solve urban design issues. Read more on ULI Advisory Board study on homelessness in Los Angeles.